Red eggs (in Romanian: oua roșii) are perhaps the brightest symbol of Romanian Easter, representing the blood of Christ and rebirth. We also dye eggs other colors, but rarely will a Romanian Easter be celebrated without lots of red eggs. 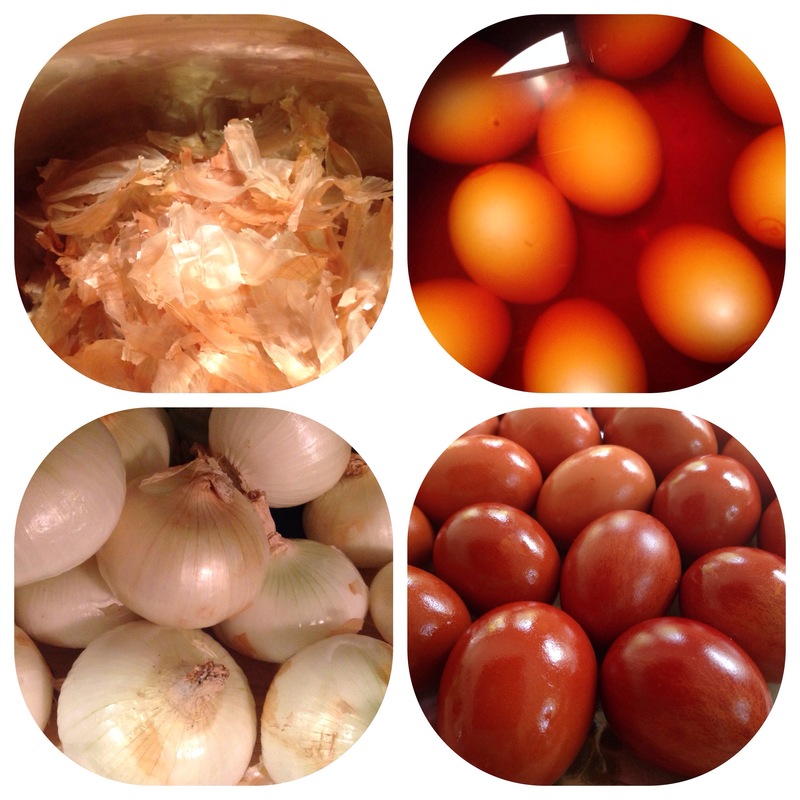 I was looking for an old-fashioned natural method to create red eggs with a deep rich color and came across the recipe to use the skins of yellow onions (yes, yellow onions…lots of them). In a stainless saucepan, place skins of 15 yellow (Spanish) onions and 2 tablespoons of white vinegar in 4 1/2 cups of water and bring to a boil. Lower heat and simmer, covered, for 30 minutes. Strain dye into a glass bowl, and let cool to room temperature. The color is orange, but once you boil your eggs it will turn more red. I used brown and white eggs, and the brown eggs turned darker as expected. If you use more intense onion skin concentration your eggs will be darker red as well. In a stainless saucepan (around 8 1/4 inches in diameter), add the cooled strained dye and eggs at room temperature (up to 1 dozen at a time). The eggs should be in one layer and covered by the dye. Bring to a boil over medium heat. When boiling, reduce heat to low, cover, and simmer. Dyeing time will be affected by the color of the eggs. Start checking for color at 12-15 minutes. Do not simmer longer than 20 minutes. If eggs are not a red enough color after 20 minutes, leave in the pot and remove from heat. When the pot as cooled enough, place in refrigerator and let sit until desired color is reached. Remove eggs with a slotted spoon and cool on racks. When they can be handled, coat lightly with olive (or other edible) oil and polish with paper toweling. I love this last step, you start to see the beauty of the egg color and reminds me personally of the ‘glazed’ feeling of the eggs when we traditionally break them open on Easter Sunday. Now the question is what do I do with all the onions? French Onion Soup? Every few years, “Western” (Catholic and Protestant) Easter and “Eastern” Orthodox Easter coincide, this year we’ll both celebrate on April 20th., 2014. With mom’s departure back to Romania I will at least feel some continuous closeness through this Easter celebration knowing we are both celebrating at the same time even though we are thousand of miles apart. 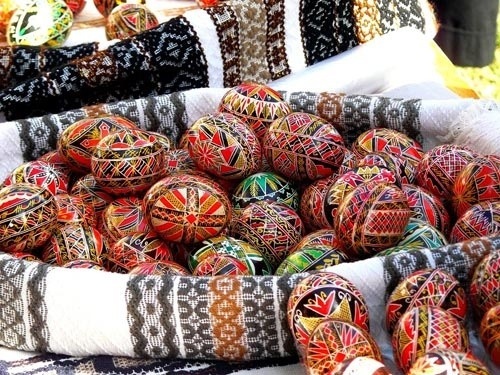 ‘The Easter is the most important celebration of the Romanian people and it is preceded by numerous preparations and rituals. Wow, I will have to get my husband to get right on it!!! ‘Women are the ones that paint and decorate the eggs, do the laundry and generally clean the house. Well, I am on my way home from a Real Estate meeting here in the Galleria area Houston Tx, as soon as I get home I will get right on it myself!!! and was mesmerized by the beauty, by the culture and by the vision and mission statement of this organization … I am in! Are you? we celebrate excellence through the European Heritage Awards organised by Europa Nostra in partnership with the European Union; and we campaign to save Europe’s endangered historic monuments, sites and cultural landscapes. We are the Voice of Cultural Heritage in Europe. 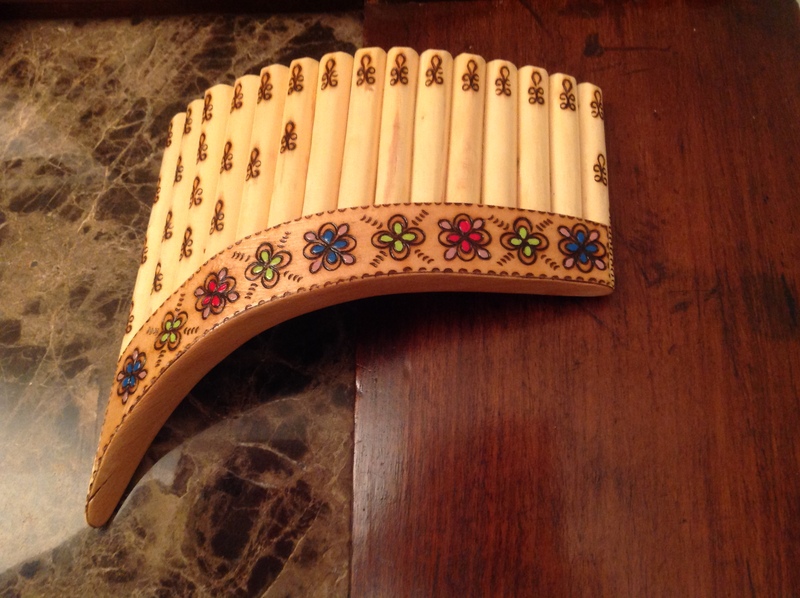 Zamfir is known for playing an expanded version of the traditional Romanian-style pan flute (nai) of 20 pipes to 22, 25, 28 and 30 pipes to increase its range, and obtaining as many as eight overtones (additionally to the fundamental tone) from each pipe by changing the embouchure. but first, this amazing story about gymnast Nadia Comăneci from her childhood beginning as a gymnast and how she was discovered by Belya Karolyi. Nadia received 7 perfect 10’s in the Montreal Olympics. An individual that has The Discovery 'Bug' and wants to share traveling, cooking and discovering the old world with family and friends and everyone that is interested.